Discover the new feminine fragrance from the Carven House: Carven L'Eau de Toilette. Elegance, freshness, a captivating charm and a couture spirit express the radiant energy of the fashion of Guillaume Henry, the talented artistic director who brought back to life the Carven House. 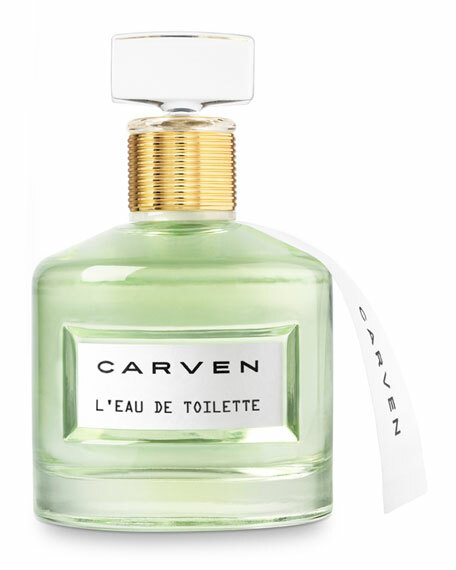 Carven L'Eau de Toilette is a pure ode to freshness and femininity against a backdrop of creamy softness. The delicacy of the perfume's bottle, the exclusive charm of the fragrance and the grace of the muse perfectly embody the modern, feminine and unusual Carven spirit. 50 mL/ 1.66 fl. oz.